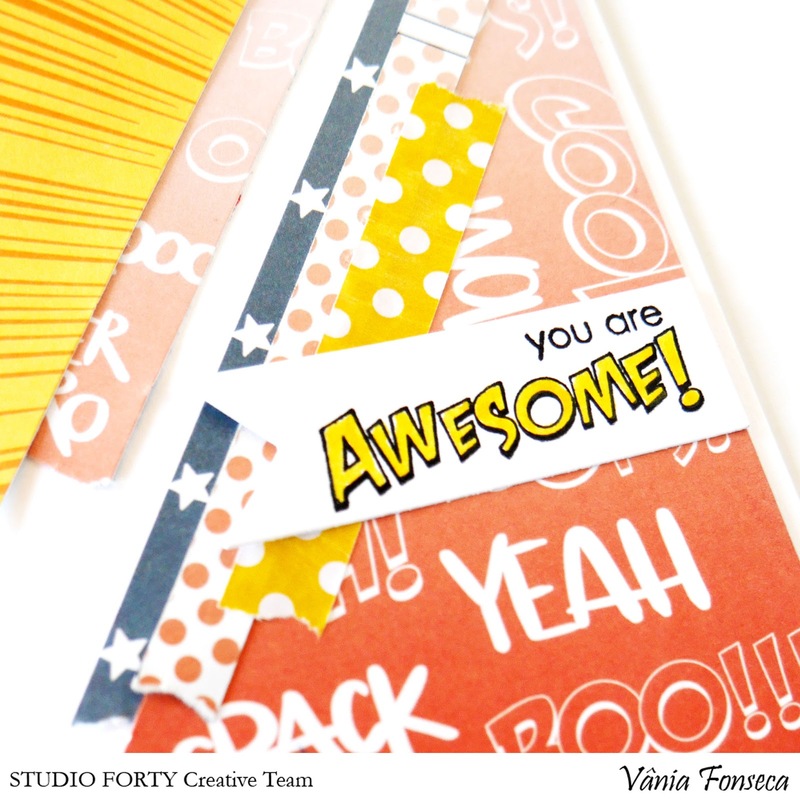 Hello crafters, it's Vânia here! 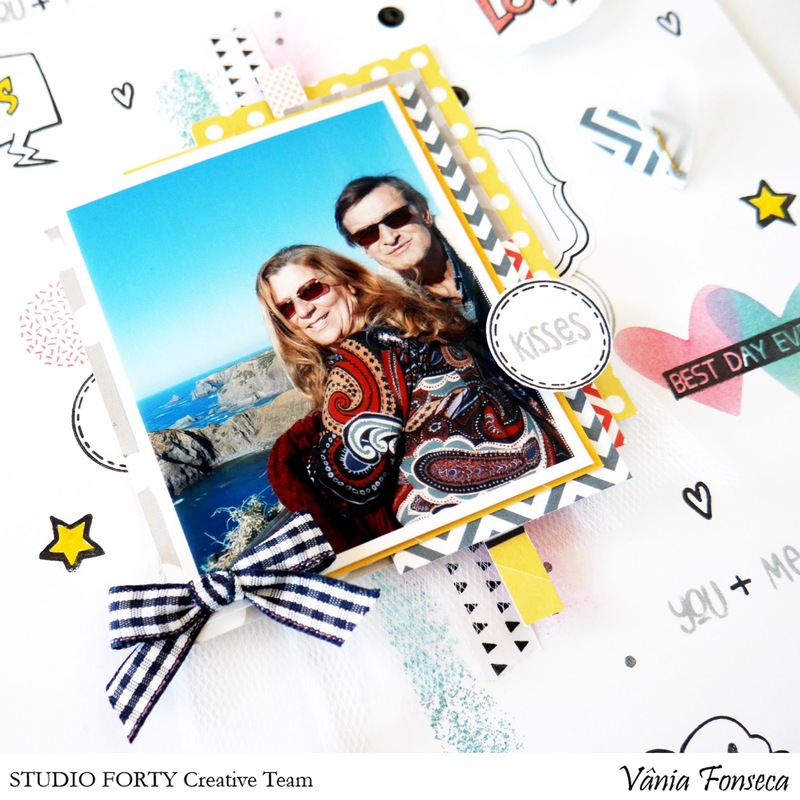 Today i'm sharing a layout and a card using the new Super You collection. "Super You" it´s a great collection, at first sight it´s not a collection that made us think in Valentine´s day, at least for me, it´s more about super heros, with a comic touch. So it was fun to mixed it with the Adore Collection and give it a different approach! It proves how much versatile this collection can be. For this layout i´ve decided to have fun with the stamps and create my own background. 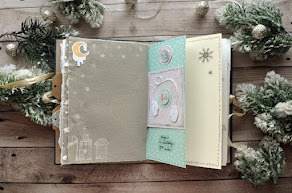 Using the same colors scheme of the papers on the colors i´ve used to stamp give more consistency to my page. Also used the paper stripes and several layers of paper to backed my photo. 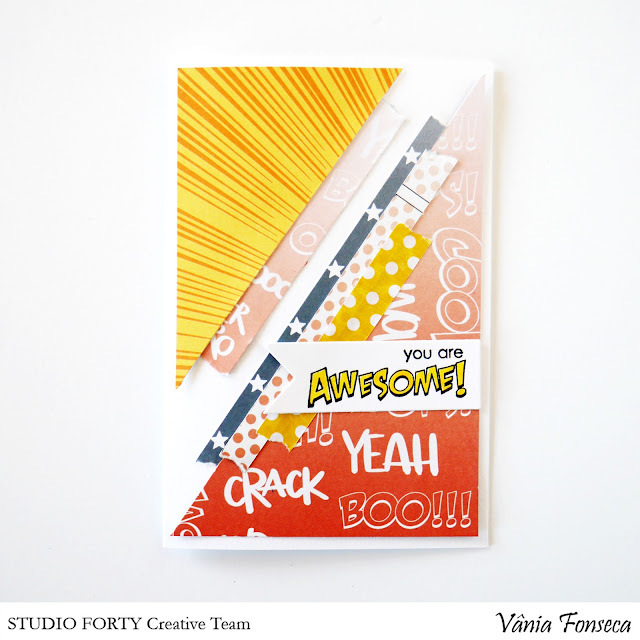 Mixing stickers and stamps to give a fun look to my background, also add some texture and volume. And, as you know tomorrow it's Valentine's day and love must be celebrated, not just the romantic but all kinds of love. That's the idea behind this card, that we could make as a last minute "gift" for a friend or someone we really apreciate in our lifes. "You're awesome" it's just a great sentiment for a card and a great way to show our love for someone, don't you agree?